What better way to start an article encouraging creativity and progression than with a worn-out cliché? University is a roller coaster ride. It has its fair share of ups and downs and you even get a picture taken at the end that you have to pay for! It can be a difficult time for students, who often contract a little known but common condition officially known as 'Pot Noodle Syndrome'; an affliction that affects a vast number of students around the globe. Upon leaving home, many students lose their personal assistants (Mummy and Daddy). They lose the rigid structure associated with school and college. They are plunged into the deep end and suddenly have complete responsibility for organising their work and life. Unfortunately, this can prove too much of a challenge for some students, who struggle to plan things as rudimentary as food shopping. More often than not, this results in a cupboard full of Chicken and Mushroom Pot Noodles (suitable for vegetarians). A more serious concern is that Pot Noodle Syndrome takes its toll on a student's work and mental health. They skip lectures and generally fail to keep on top of their work. They begin to lose confidence in their own ability and believe that they simply aren't clever enough to succeed. In many cases this has an impact on their work. In extreme cases, they drop out of university. Many students find it easy to adjust. They take it upon themselves to learn the organisational skills required. If they struggle to grasp a concept during lectures, they independently research and master the subject. Others find it much harder. They have difficulty completing the vast amounts of independent study required by university. Basic organisational skills seem unattainable. They need someone to guide them through the learning process and show them that these problems are not as difficult to overcome as they think. This someone is often a lecturer but in many cases, it’s actually another student. Pot Noodle Syndrome is a people problem that can be helped with technology. In my experience, collaboration between students plays a huge role in individual success. Students are mostly happy and eager to help. In my first year at university, many second-year students would sit with me for hours explaining a concept. People were also keen to answer questions on Facebook groups (usually hours before an exam). Cloud based collaborative software was readily available but rarely used. Why? Because both lecturers and students are unaware of the potential benefits. Each tutor group or year group has a place for students and lecturers to share their knowledge. They can share lecture notes, recordings and links to other learning resources that they found useful. If a student thinks they can explain something competently, instead of explaining it to a couple of people in a computer cluster, they can share it in the notebook with a video, pictures or a presentation. They could even share interesting articles that they find related to the course to encourage and maintain an enthusiasm for the subject they are studying. 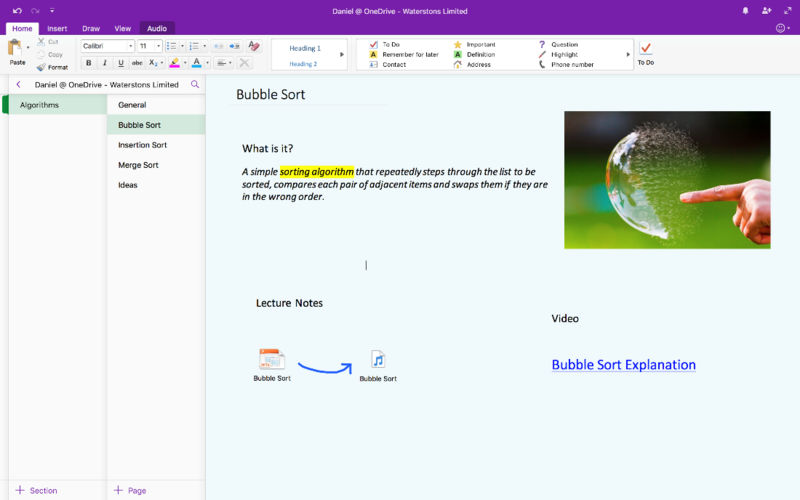 Lecturers could make great use of OneNote and similar technologies to target their learning to specific students or groups. For instance, lecturers could link specific tutorials or resources to foreign students in their native language. They could tailor tutorials to students depending on whether they prefer to learn visually, verbally or by completing some sort of task. Many notebooks could exist for people with different interests and approaches to learning. If used effectively, cloud based software could greatly increase collaboration between students and lecturers. During my group project, the preferred medium of communication tended to be loud incoherent screaming. Whilst the vast majority of my team mates were wonderfully cooperative, the team's organisation left a lot to be desired, leading to one important submission being missed. 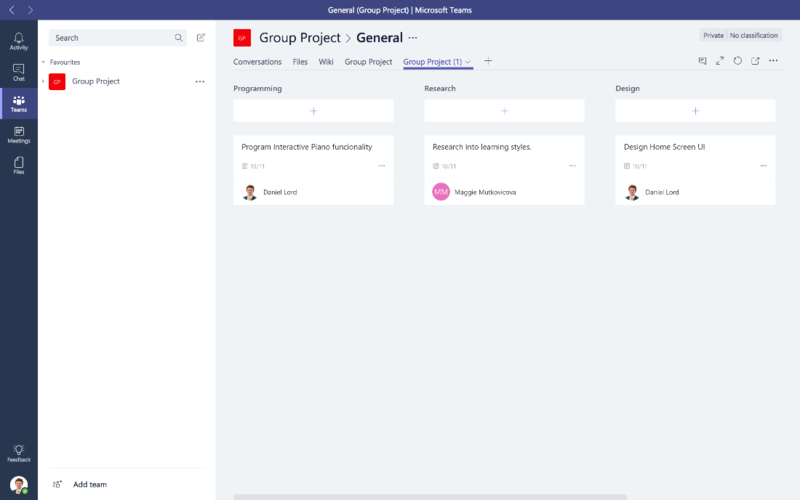 We used Facebook messenger to communicate and Trello to plan, which worked fairly well, although things would have been simpler if we'd had one centralised location for everything related to the project. 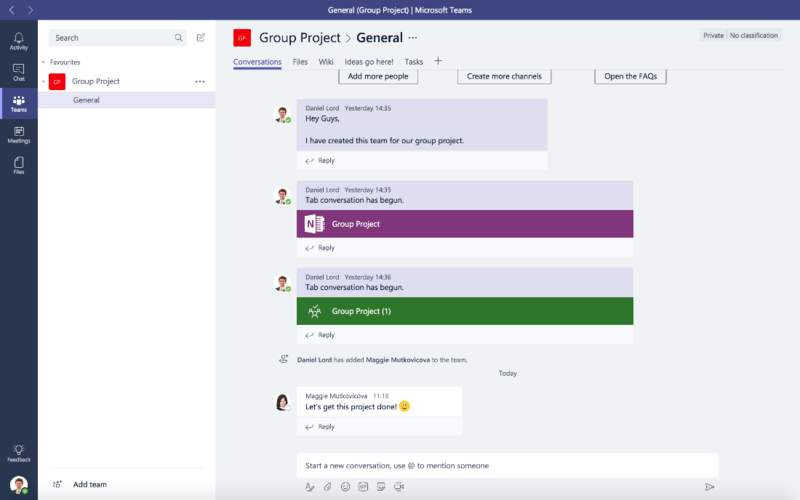 In hindsight I would have used Microsoft Teams. The whole team could have communicated on the main channel, whilst sub-teams could have communicated on separate channels. Scheduling meetings would have been far simpler with the integration of Outlook and Skype. All relevant files could have been saved in one place under the files tab. 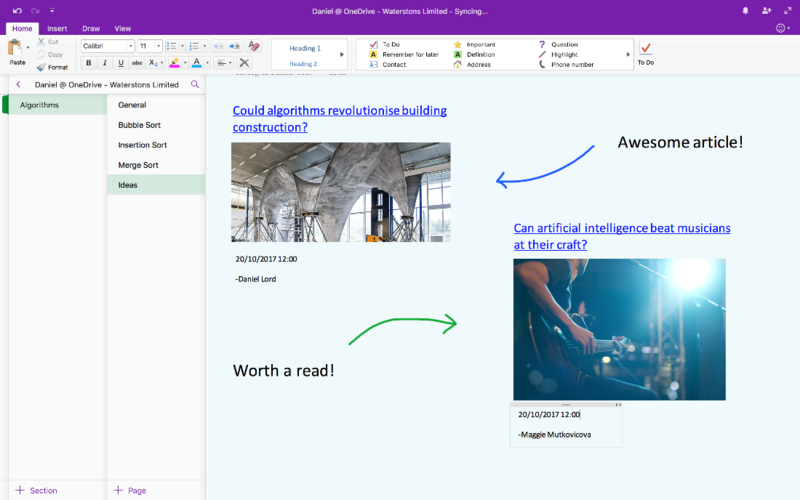 Moreover, integrating OneNote and Microsoft Planner would have meant that ideas could have been shared instantly and tasks planned easily. Most importantly, everything would have been in one place and kept simple! People want an easy life! Whilst these ideas are simple and far from ground-breaking, they are an indication of the types of creative solutions students and lecturers would devise, if only they knew how to use these cloud based applications and were actively encouraged to do so. Not to mention the fact that universities are rich in creative and motivated individuals. These applications are not a solution, they’re a tool. If a student's or lecturer's life is manifestly improved, they will use them! My 8 year old cousin is learning how to think computationally and learning the basics of circuitry by playing Minecraft. Why… because he wants to build cool stuff. In his case, learning is a useful side effect of playing a game and occurs effortlessly. In a similar fashion, I believe if cloud based technology was used effectively, it could make learning tough subjects far more straightforward. In all likelihood, you will also see Pot Noodle supplies dwindling! Business Intelligence is the latest buzzword, but how can we integrate it into the complex world of HE?